This is my first tutorial in english. I´m sure there are a ton of technical terms that I ignore and that probably have replaced with my own inventions. I saw the original tutorial pinned a lot and, also, a lot of comments asking whether it existed or not in english. Well, here it is. Be nice, it´s my first try. But let me know if you find big mistakes. pd: this page is bilingual!!!! WOW!!!! The directions are great, very clear! 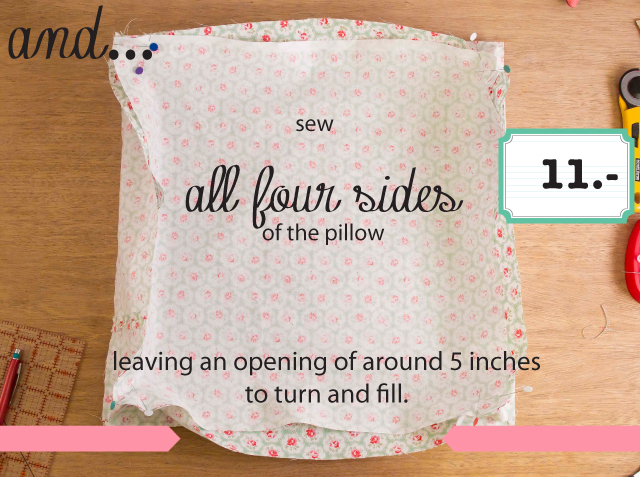 Can't wait to begin my own pillows!!! 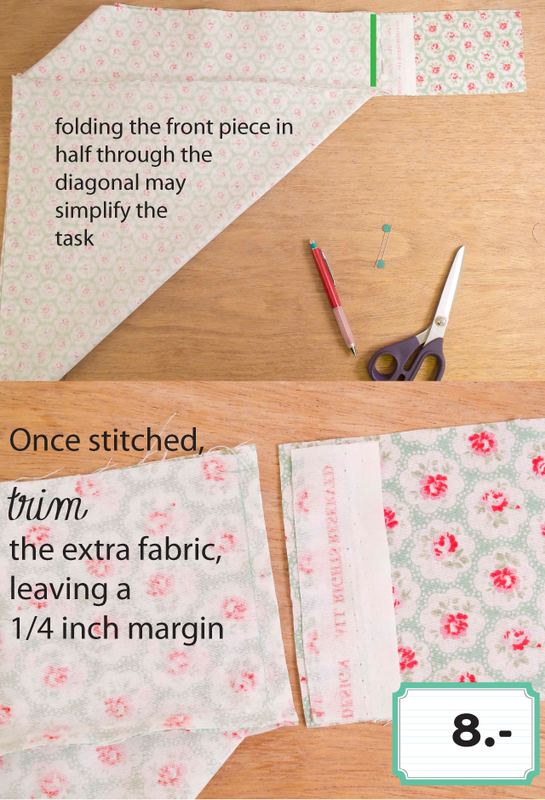 Thanks for sharing. . Clear and simple to make . I LOVE that you did this for your readers. Thank you so, so much. 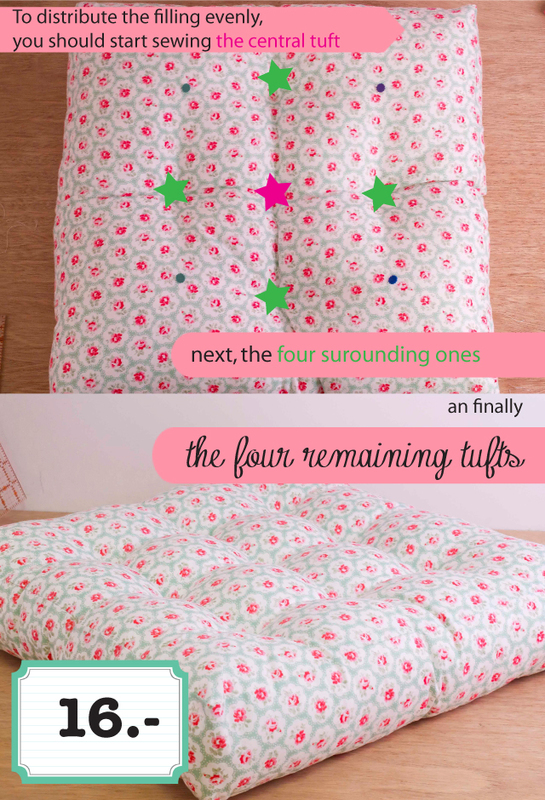 I have wanted to make one of these cushions forever and just could not figure out how to do it! I do have a question though. On the tufting of the sides. If I understand correctly the stitches go from the side to the top, and from the side to the bottom, right? Also, how far apart are they from each other, and also from the top and the bottom of the gusset? 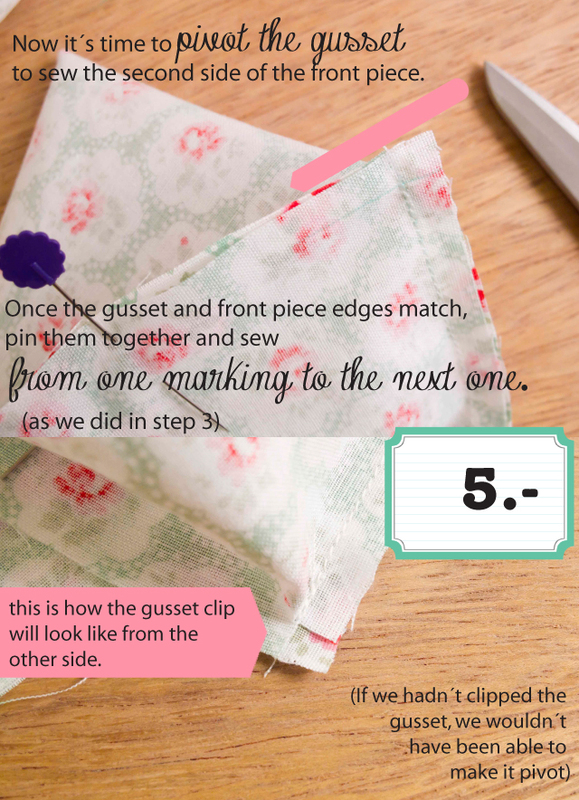 I would guess that they are the same measurement from the edge of the gusset to the edge of the top and bottom of the pillow, but don't know that measurement or the measurement of the amount of space between them on the side of the gusset. you´re welcome! I´m very happy that you find it useful. 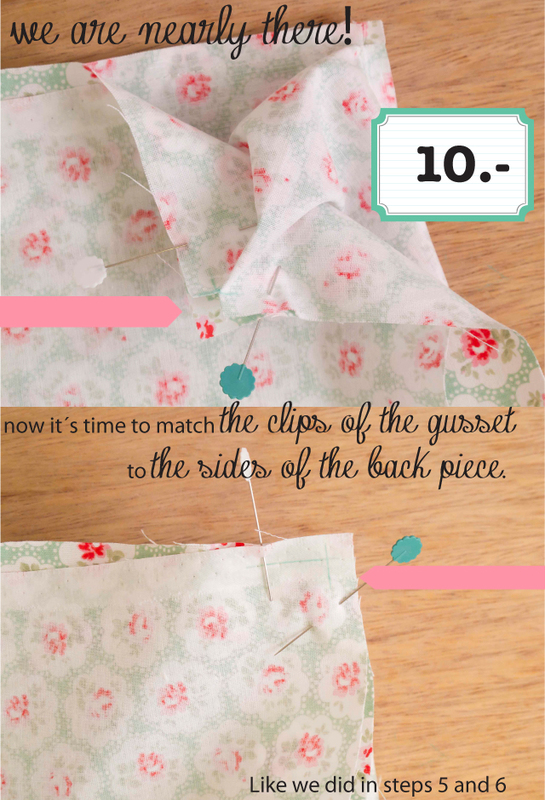 For the tufting of the sides you have to insert the needle from the top (front piece) to the side (gusset) and then, from the side (gusset) to the top (front piece). 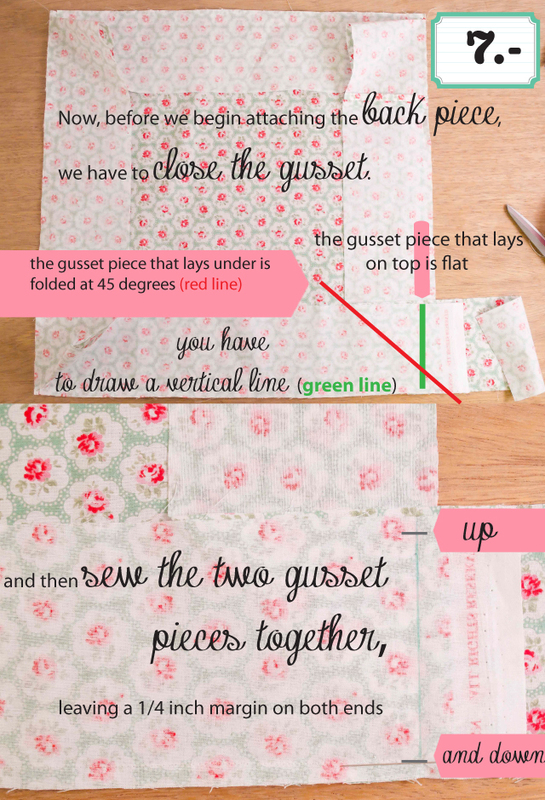 Once you finished surrounding the front piece, you turn the pillow and do the same with the back piece and the gusset. 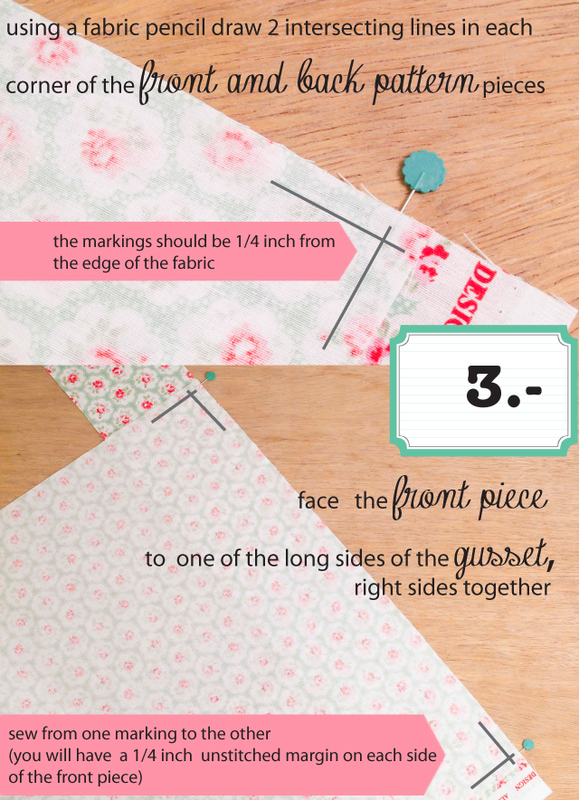 The stitches are around 1 inch apart from each other, the length of the stitch is around 1/4 inch. 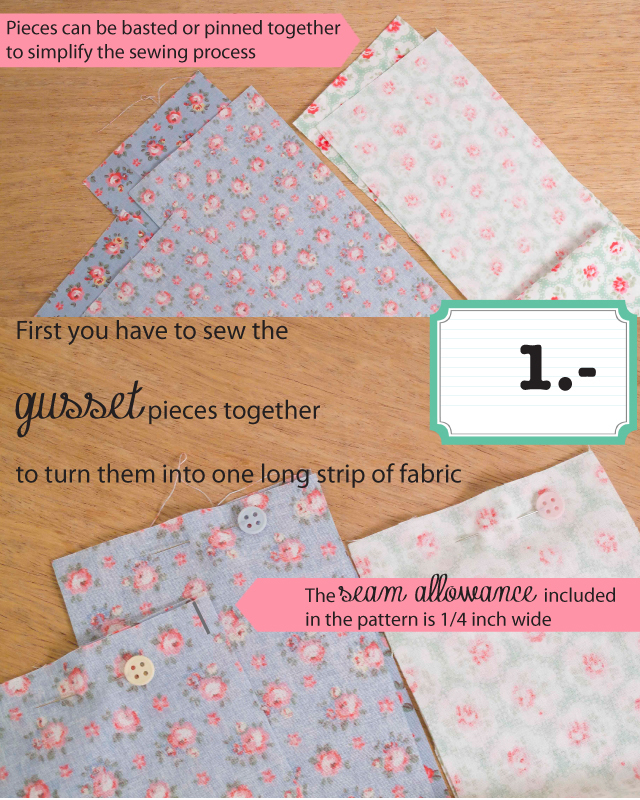 And they are between 1 and 1 1/2 inches from the edge of the front, back and gusset pieces. 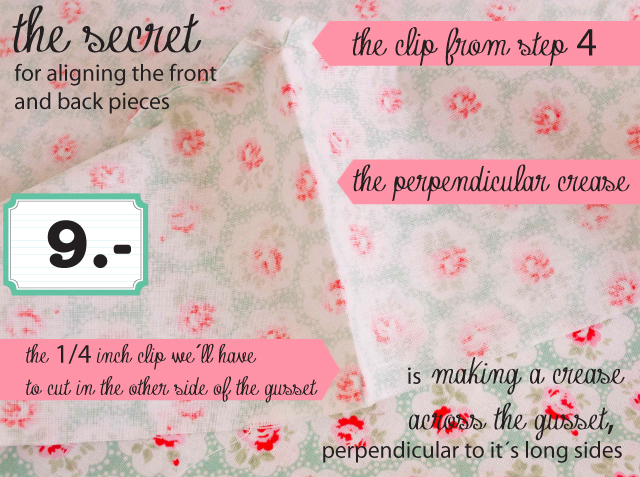 You guessed right, like I said it´s between 1 and 1 1/2 inches from the edges of the pillow. just found your tutorial, oh i love it! will be trying it soon. Thanks for sharing it! I wish i had the patience to do this. So lovely! you should sell them to us lazyies! Es fabuloso. I've wanted to make cushions with the gusset around it. Your tutorial is perfect. Your instructions, pictures, drawings on the photos are excellent. Thank you so much for making this tutorial and then again in English. 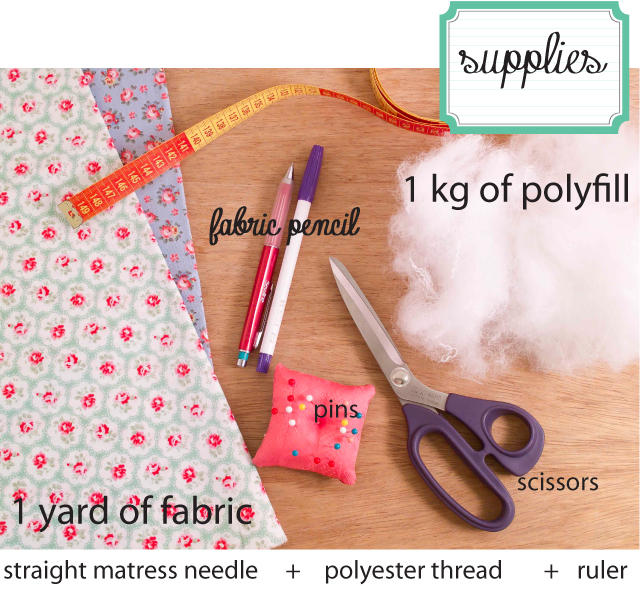 Found you via a Pinterest link; love the pillows and the tutorial~ Thanks so much for taking the time to generously share this in English! Fantastic post in perfect English. Well done and thank you for taking the time to do so. 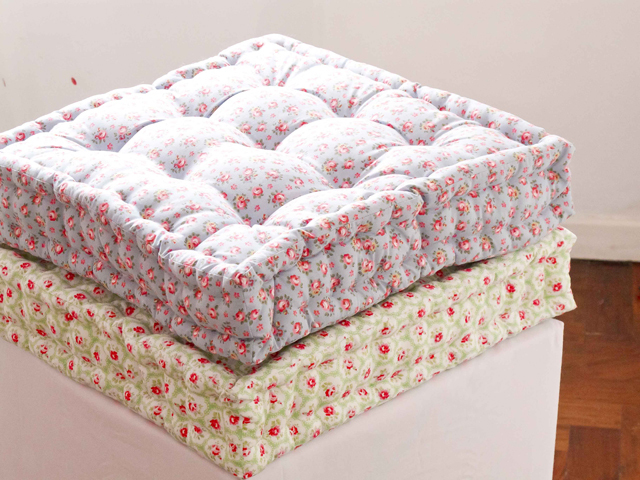 Thank for let us know how to make these lovely floor cushion. 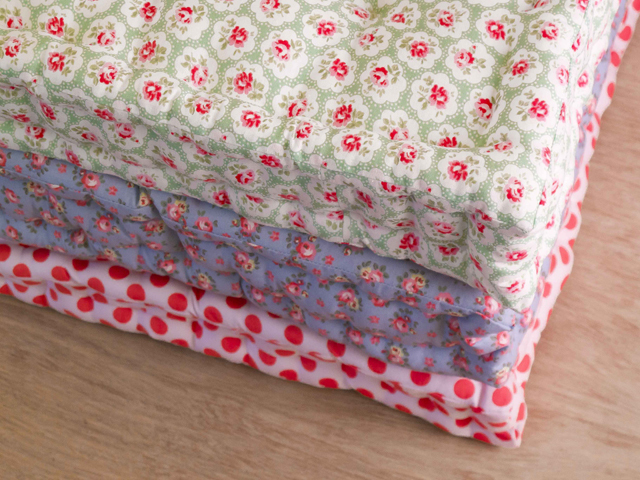 I will made some of these floor cushions for myself and can't wait to make this. Thank You for these instructions, very pretty! What a well done tutorial! Thank you for taking the time to write it up in English. This is exactly what I've been looking for. Thank you! This is an excellent tutorial. Congratulations. You have made the steps so clear. Your English is very easy to understand. I hope I can make a cushion as pretty as yours. I bet button thread would work well instead of 4 strands of poly - it is stronger. Hey! thanks for the lovely comments! I´m very glad you found the tutorial useful. Hugs! Very well done tutorial, and in perfect English. Thank you so much for taking the time to spell it all out for the rest of us. I am definitely putting this on my "to-do" list. Thanks a bunch! What I think I would do is go down to our foam store and have them cut me some pieces of sofa cushion foam and use that to give it some stiffness. That way you won't be sitting on the floor when the stuffing compresses. Just a thought. Love the idea, great for little ones and more seating! Thank you for doing the English version! I can't wait to get started! You're tutorial is amazing!! You did a great job, thank you! I am a novice sewer and I could easily follow this. 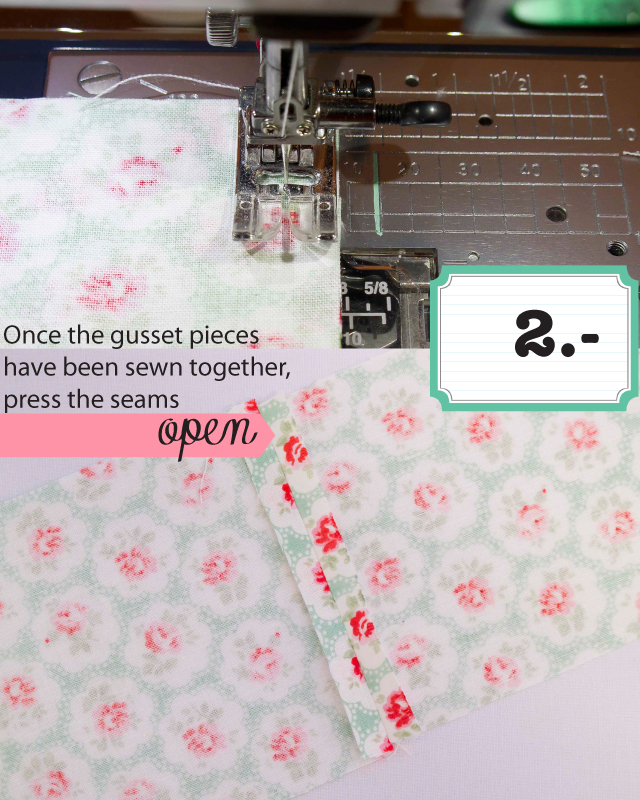 I'm a long time seamstress so I have to tell you that you've written an excellent tutorial! Good Job! I especially like the action photo showing your invisible stitch. Well done! 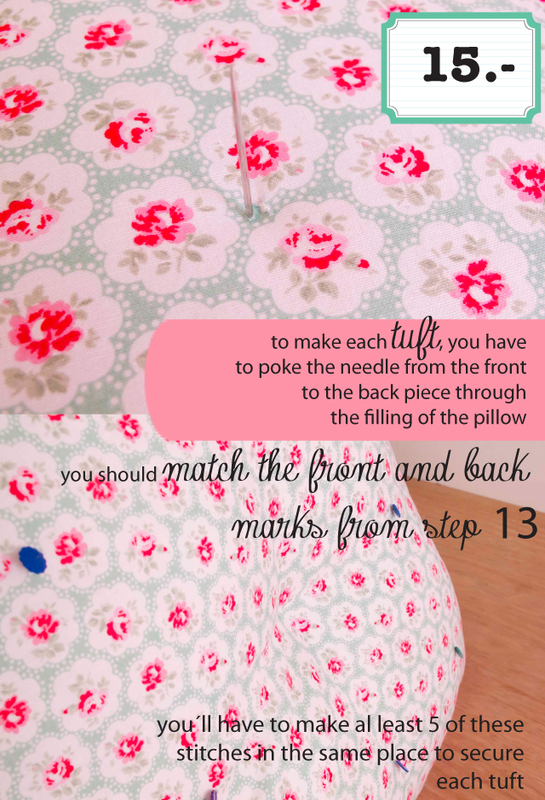 I absolutely love your cushions and your tutorial is very clearly. 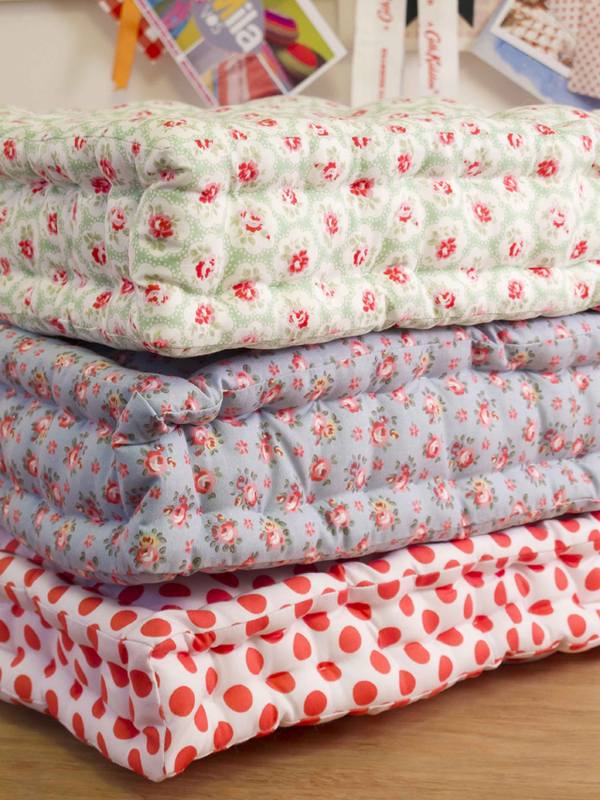 Even I might be ably to make the cushions now! Thank you for re-writing everything in English! 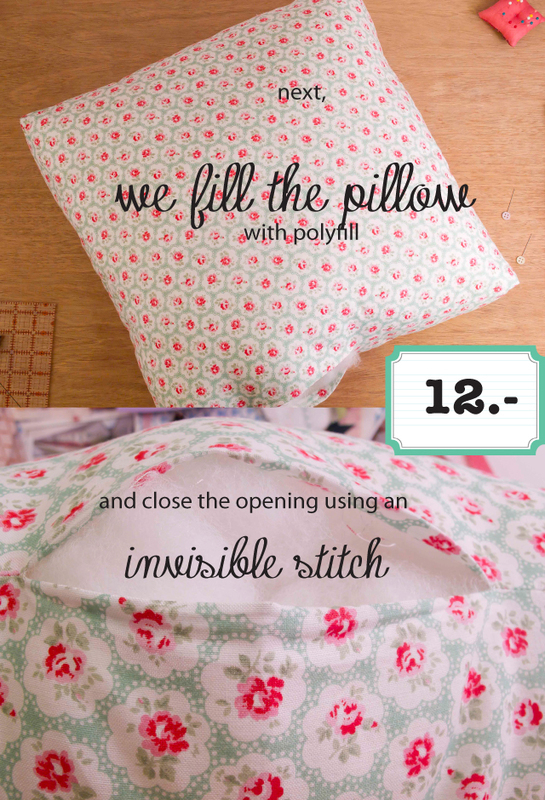 Beautiful cushions, thank you for the tutorial in English. Will be making these for my grandkids rooms. Thank you! Just what I've been looking for ;-) Great job!! I love these so much! I shared them on my blog and linked back to you so my readers could see them too! I really want to make these when I move to my new place :) Thanks for a tutorial! lovely tutorial. 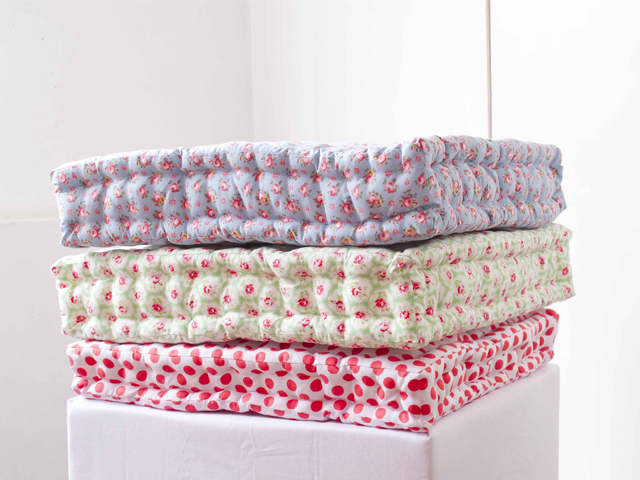 The edge quilting makes all the difference in these pillows. It is a great addition. Thank you so much for posting this. Have been wanting to make these for a long time, but couldn't quite figure it out. The photos are really helpful!! 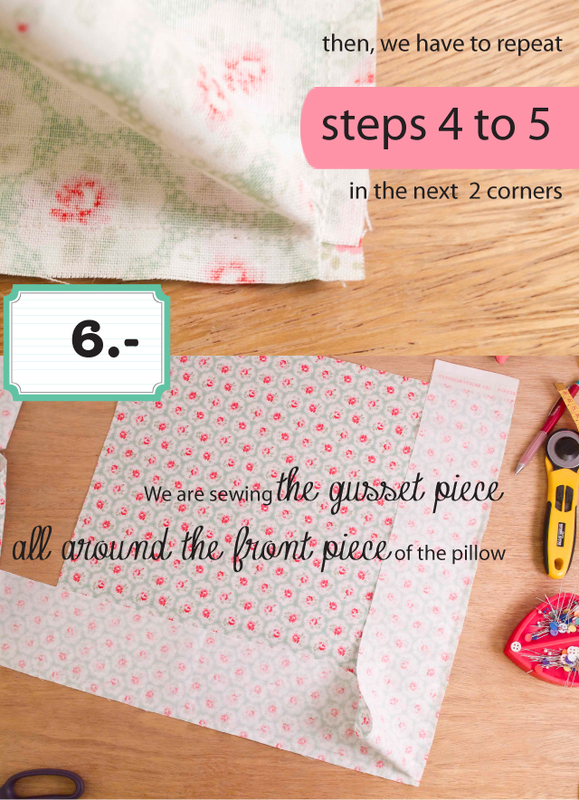 What a wonderful detailed instruction for making these <a href="http://www.petnhome.co.uk/large-lounge-cushions-c-33_5.html>floor cushions</a>. Having been involved in making cushionns for years it is great to see such a detailed explaination. I really would advise anyone to give it a it go - it is such good fun! First: your English is excellent! Second: you taught me something I didn't know, but now I do thanks to you! Third: I was looking for something to make my grand-kids (19 of them) for their birthdays and I think this is it. I will make one this week to see how it goes. Thank you so much. Great tutorial. One of the best I have seen. Awesome project, hope to try it soon! Thank you for your wonderful tutorial. You did an excellent job describing each step makes it so easy to understand...Thank you. Thank You. Beautiful job!!! And the tutorial is really clear, Thank you! Perfect tutorial!! 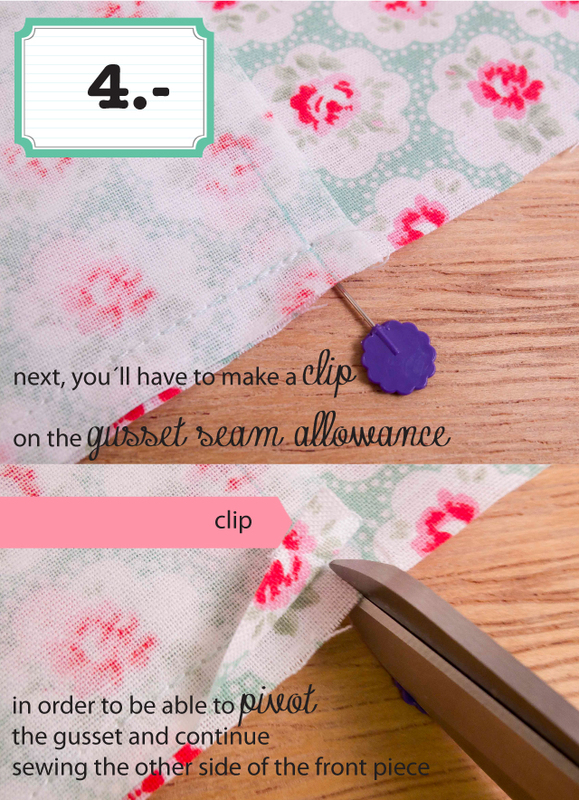 I especially enjoyed the gif file sewing the invisible stitch. 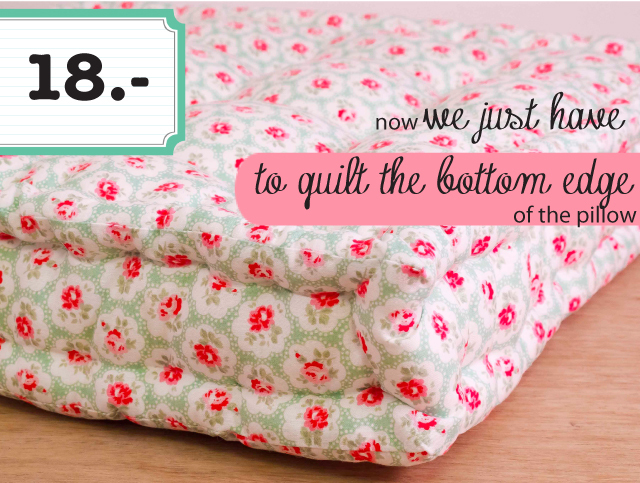 I'll be making a couple of these for my girlies! Jak spojrzałam na gotowe poduchy, pomyślałam, jakie to musi być trudne nieziemsko! Po obejrzeniu zdjęć z opisem, doszłam do wniosku, że spróbuję! Hi! I´m glad you liked it! You can certainly do that. Just make sure that the tufts are not more than 5 inches apart from each other and try to use a filling that is not too slippery. You can divide the 15¨ height with 2 tufts aprox. 5 inches apart, move 5 inches to one side and place 1 tuft in the center, move 5 inches to the side and place another 2, and so on. Beautiful instructions. Can i ask, would this work as well with a solid piece of foam, I just want to make it a little more stable. It's hard to believe this was your first tutorial in English - well done, Noe! This is exactly what I needed to make new cushions for a set of chairs, though I've been thinking about using foam and covering it instead. Your way solves all the construction steps I couldn't figure out myself. Thanks so very much! thankyou so very much this is what I am looking for . very beautiful clean and elegant.thanks again. 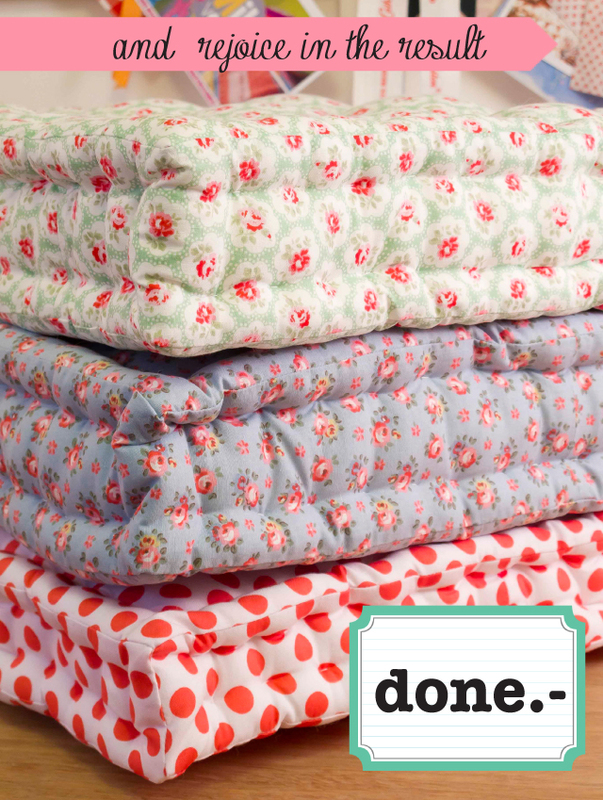 I ordered fabric and am so excited for it to arrive next week so that I can make these beautiful cushions. Thank you for the great tutorial. Thank you for the translation into English! Your directions are so clear and easy to follow. I can't wait to try it. 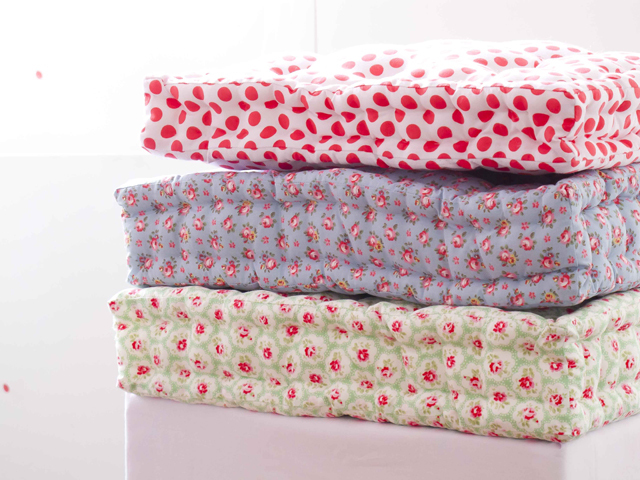 I have wanted to make cushions like these for ages, but couldn't figure out how. 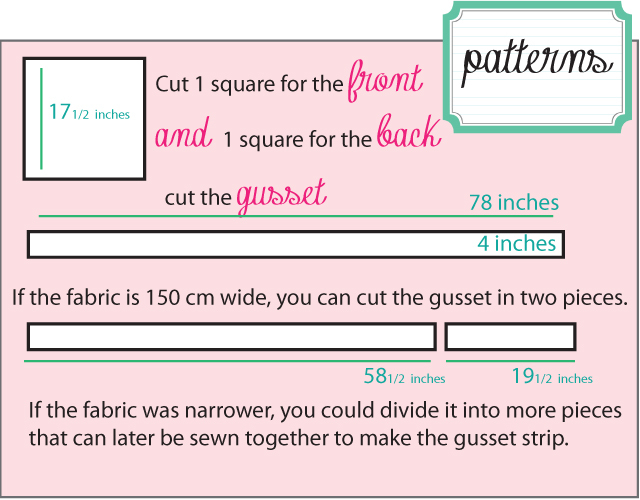 I am going to cut out my first cushion right now! Hola tenes el tutorial en español ???????? 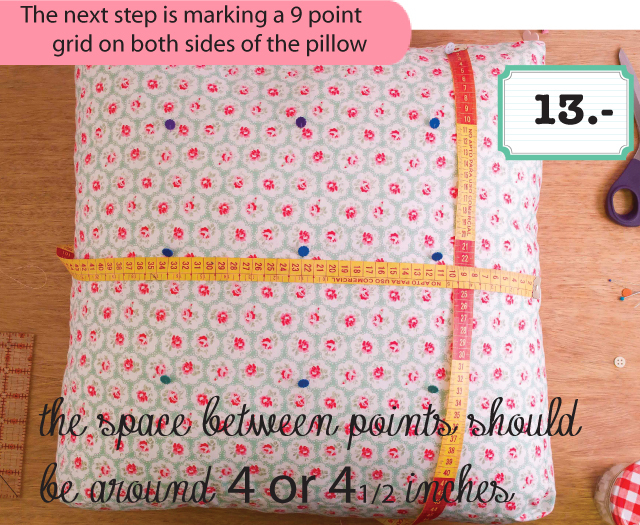 You did a great job explaining how to make the cushion and lovely fabric combinations ! These are so nice! Can't wait to give it a try. Thanks for sharing in English, too. what length is the mattress needle, please? The pillow is nice..thanks for sharing..
Noe, This is so lovely! great instructions too! thanks! Yo no he comprendido como hacer los pasos 14 y 15. Algún video? MANY THX FOR THIS TUTO !!! YOU CAN'T IMAGINE HOW MUCH U R HELPPING ME ! :) MILLE MERCI !!!!!! Its really helpfull Post and informative..
Information is very useful, visit too Tips choose epoxy floor ? ?